When cocktail historians, such as Jeff “Beachbum” Berry, began researching Tiki cocktails, it took a considerable amount of work deciphering the codes and solving the formulas that were used to create them. Due to heavy competition between the various bars, Donn Beach, Trader Vic and Steve Crane, amongst others, worked hard to keep their cocktail recipes secret. What historians also uncovered was the Tiki world’s secret love affair with gin. The juniper-flavored spirit is woven into many Tiki cocktails. What these early cocktail creators learned was that the right gin, balanced with other spirits and ingredients, created flavors that had never been found in a glass or mug before. Check out these three cocktails that chronicle the early days of gin in Tiki cocktails. Victor “Trader Vic” Bergeron, in his 1972 revised Bartenders Guide, dedicated 25 pages to gin cocktails. From the Bees Knees to the Singapore Sling, he covered many classic and modern gin cocktails of the time. 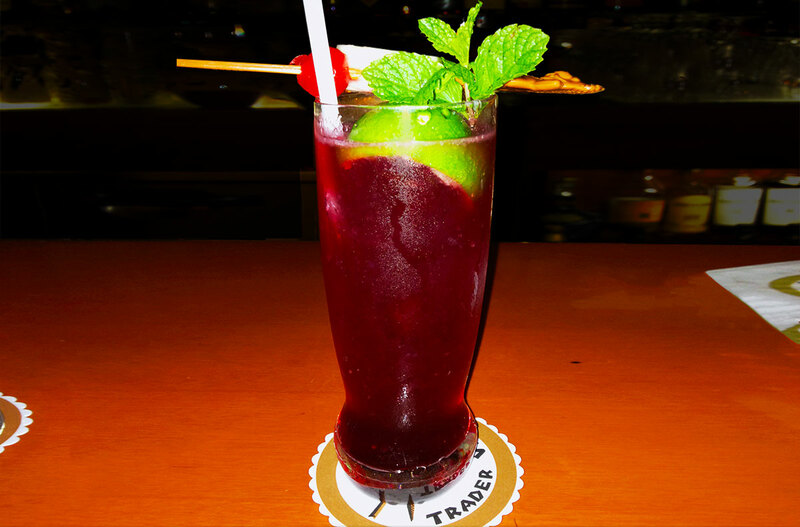 One such standout is Trader Vic’s Sling. Cut lime in half and squeeze both halves into ice-filled glass. Reserve one half lime shell. Add remaining ingredients except soda. Fill glass (or mug) with soda and stir gently. Garnish with one spent lime shell, mint, and fruit stick. 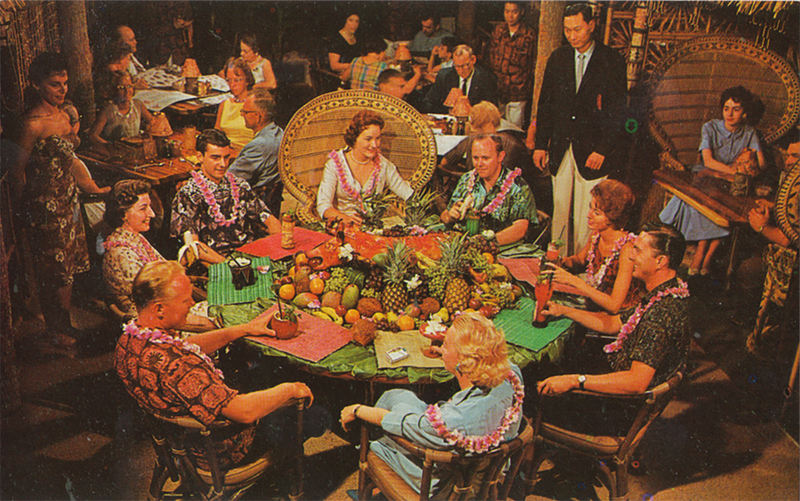 Columbus, Ohio, was home to the Kahiki Polynesian Supper Club from 1961 to 2000. Restaurateurs Lee Henry and Bob Sapp dreamed up the Polynesian restaurant that would dazzle their patrons’ imaginations. The entrance of the restaurant was flanked by two flaming Moai that greeted diners as they crossed the bridge into a reception area. Inside they enjoyed an immersive dining experience with live performers and a variety of classic and unique cocktails to imbibe. One stand out was the Polynesian Spell which used purple grape juice and gin as the primary ingredients. Put all ingredients in shaker with ice. Shake and strain into cocktail glass. 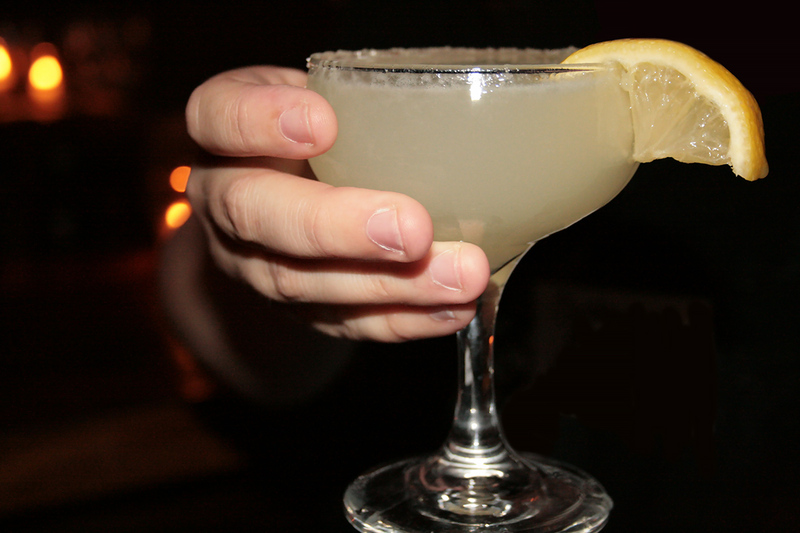 The final cocktail is from one of the most historic hotels in Waikiki, Hawaii. The Royal Hawaiian opened in 1927 and was a 400-room hotel built in the popular Spanish-Moor style that was all the rage at time. With a staff of 300, the hotel catered to the rich and famous until 1941 when the United States entered World War II. During the war it served as a rest and recreation center for Navy personnel. It returned to its former glory after the war and later expanded and upgraded to meet the needs of its guests. According to JK Grence of the Phoenix Sun Times, The Royal Hawaiian cocktail was first known as the Princess Kaiulani cocktail. Sometime between 1947 and 1950 it became the resort’s signature drink. Shake with ice cubes. Strain into chilled cocktail glass or small mug. While this cocktail no longer graces the menu of its namesake hotel, other restaurants and bars have served it as part of their Tiki cocktail offerings. If you discover that you enjoy a little gin in your Tiki mug, you’re not alone. There is a wealth of resources available to check out online and at your local bookstore that show how the secret love of gin helped make some Tiki cocktails the modern classics they are today. Don’t forget to find a great gin for your tiki cocktails!